Samsung’s Android 6.0 Marshmallow release timeline has been, as usual, pretty much a work of speculation and rumor mill. Leaking an internal document, a new report reveals that we won’t have to wait much longer for Samsung Android 6.0 Marshmallow release after all. The South Korean tech giant has remained tight-lipped when it comes to sharing a timeline with its users about when should they exactly expect the already-old Marshmallow update on their own devices. We have previously seen some reports regarding the release of Samsung Android 6.0 Marshmallow update. However, Samsung has yet to chip in and give its much-awaited seal of approval. A new report has allegedly leaked an internal document revealing when Samsung is planning to finally roll out the long-awaited Marshmallow firmware update to some of its devices. MobiPicker leaks a new internal document apparently carrying up-to-date information on the expected timeline of Samsung Android 6.0 Marshmallow release to few major devices of the past two years. Yes, we are still waiting for the update on flagship devices; others will have to rely on custom ROMs for a long time to come, before Samsung shares any love. Coming back to this alleged internal roadmap, Samsung’s Galaxy Note 5 and Samsung Galaxy S6 Edge+ will be the first two devices to receive the latest Marshmallow update, comes this February. Samsung Galaxy S6 and Galaxy S6 Edge would follow this at the end of February, or early in March. Finally, Samsung Galaxy Note 4, Note Edge and Samsung Galaxy S5 are expected to receive Marshmallow sometime in March/April. Remember that some Samsung Galaxy S5 users have already received the update “mistakenly,” indicating that Samsung is definitely testing the firmware on different devices. 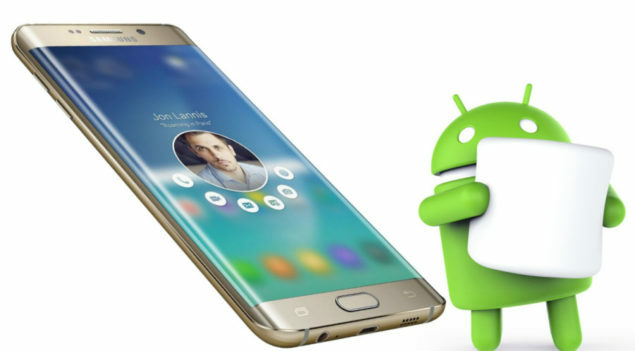 Samsung Galaxy S6 and S6 Edge have also received a beta version of Android 6.0.1 officially, however, they are yet to receive a final firmware version. The source of this latest report is as shady as an anonymous tip since Samsung is not popular for these internal documents that we often see going viral in the case of Apple. However, since there’s no real data to count on and with January almost gone, we could only believe and hope that the next month indeed brings Marshmallow update to at least some of the Samsung’s flagship devices, as this latest leaked roadmap suggests. Samsung has recently been sued in the Netherlands for its lack of clarity and disclosure when it comes to software updates. While the company faces these court cases, consumers have nothing but to wait for latest updates even on their high-end flagship devices.